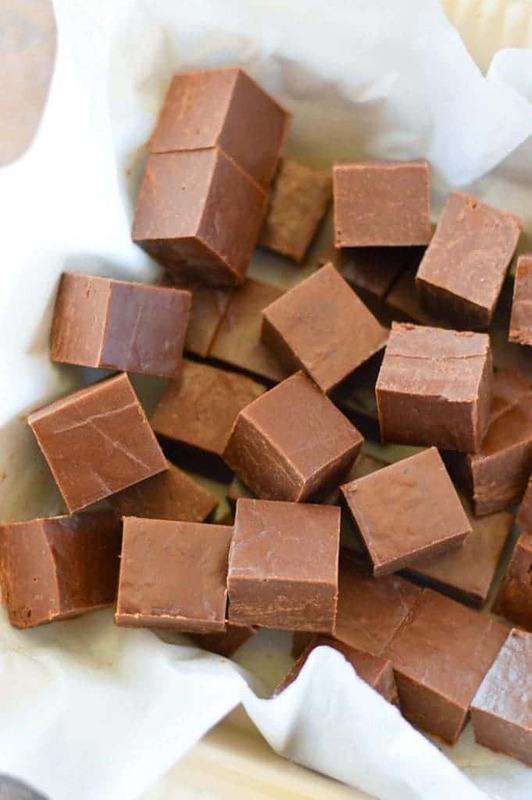 This easy 3-ingredient Milk Chocolate Fudge is so creamy and smooth. It’s like an amped up chocolate bar with a texture that’s super addicting. Every year I make a fudge or a homemade candy recipe for Adam’s grandfather’s birthday. Last year I made Toasted Coconut Truffles and the year before I made Toasted Coconut Fudge (he’s a big coconut fan). This year, I decided to go with Milk Chocolate Fudge – he loves my fudge so I like to make him fudge for holidays and his birthday. Usually, I make a double chocolate fudge for Christmas because it’s my go-to fudge recipe that everyone loves and raves about. 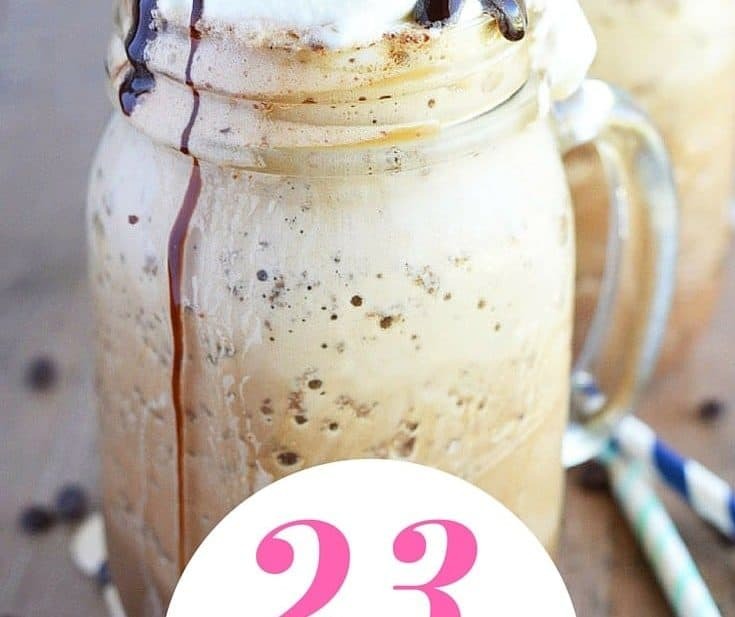 I was going to make it again for his birthday but I only had milk chocolate chips – I’m not always well-stocked on regular chocolate chips anymore since I always use dairy free chocolate for us. Since I only had the milk chocolate chips, I figured that would be ok and went ahead and made the fudge. 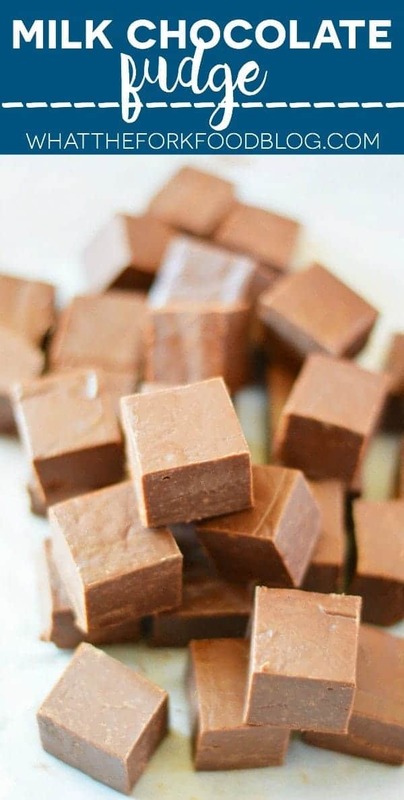 I use Hershey’s chocolate chips for fudge because I love the way it melts and in my opinion, it makes the best textured fudge. Since I only used milk chocolate chips, this milk chocolate fudge turned out to be so silky-smooth it was like an amped up chocolate bar. It was so creamy and literally melts in your mouth. That’s the best way to eat fudge – I’m not a fan of dry fudge. 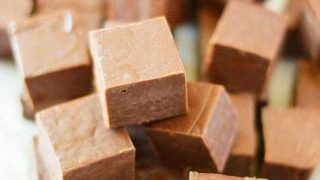 This milk chocolate fudge is also incredibly simple – just 3 ingredients and you’re on your way to fudge heaven. 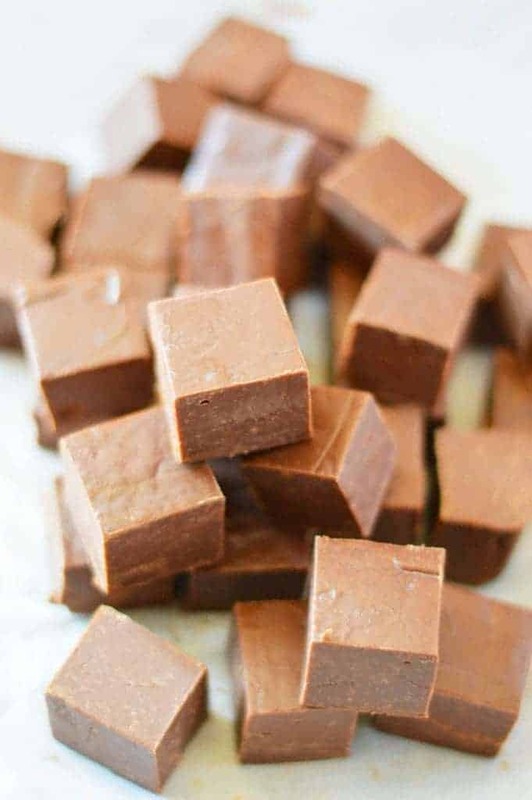 Another fudge recipe that is super simple (only 4 ingredients!) to make is Peanut Butter Fudge that my friend Erin from Texanerin Baking created. 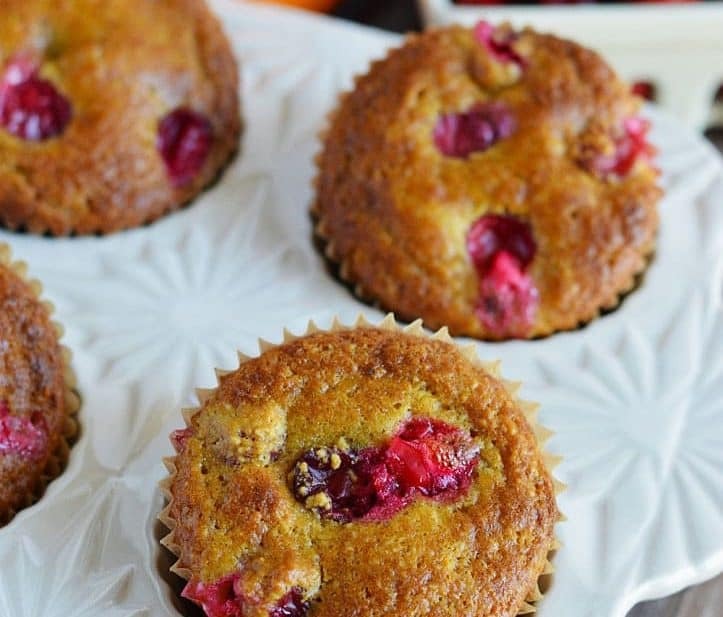 It’s perfect for those peanut butter lovers and there’s also a paleo option. Hooray for all things fudge! 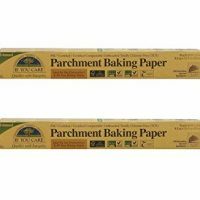 Line an 8x8 dish with parchment paper and set aside. Add the chocolate chips and sweetened condensed milk to a medium sized non-stick saucepan and heat over medium low heat. Stir to combine and continue stirring, almost constantly, until all the chocolate is melted and the fudge starts to come together. 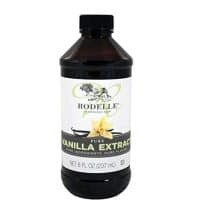 Remove from the heat and stir in the vanilla extract. 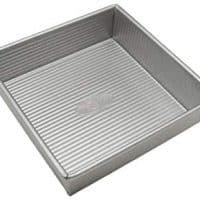 Transfer the fudge to the prepared baking dish and use a spatula to spread it out evenly. Let the fudge cool to room temperature and then refrigerate it until it's completely cold, about 2 hours. When the fudge is completely chilled, cut it into pieces (I get about 36 small pieces). Keep the fudge refrigerated and serve at room temperature. Follow Sharon | What The Fork Food Blog’s board Truffles, Fudge and Candy on Pinterest. It’s really not fair that these only take 3 ingredients. 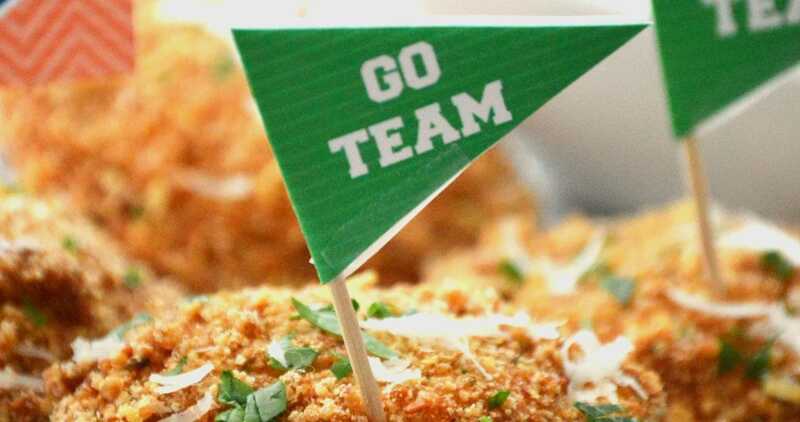 I mean, how am I NOT supposed to run to the kitchen and start whipping them up right now?! Right?! It basically makes itself ???? This sweet is a delight!